Finding out you have rats or mice in your home can be a bit scary. How long have they been there? Have they caused any damage? Have they gotten in to any food? What have they touched? How many of them are there? These are just a few of the questions that may come to mind. Rodents are so successful, they are found in just about every corner of the world. Unfortunately, they find our dry, temperature controlled homes full of food and water the perfect place to create their own nests. Rats and mice are both destructive and can carry an assortment of diseases. They will not only chew through your walls, but can also chew through pipes and electric wires causing expensive damage. Roof rats, Norway rats, House mice, and Field Mice are the most common rodents found here in the foothills. Roof rats and house mice are the more common out of those. While mice and rats tend to have different habits, they do have similarities that can make them both difficult to get rid of. A mouse can have as many as 20 pups in a single litter and have a gestation period of only 12-20 days. Both mice and rats can fit into incredibly small spaces usually only limited by the size of their head. Both are known carriers of various diseases caused both through direct contact (biting or scratching) and through their feces and urine. They can also cause allergens. Diseases include: Rat-bite fever, leptospirosis, Lymphocytic Chorio-meningitis, Hantavirus Pulmonary Syndrome, Plague, Salmonellosis, and others. More information on diseases from rodents can be found at the Center for Disease Control and Prevention. Both are carriers for lice, fleas, and ticks. Worldwide they cause billions of dollars of damage a year. Once in your home, both can cause a lot of damage and be difficult to get rid of. As mentioned above, both rats and mice can reproduce at astounding rates. With the right conditions, such as enough food and water, their numbers can quickly become uncontrollable. Australia has been experiencing mouse plagues with their large harvest years. As mentioned in the video, the bigger the numbers get, the more difficult they are to stop. Like any pest, the best way to deal with them is to keep them out of your home in the first place. Prevention can be done by preventative baiting and making sure the outside of your home is as secure as possible. This means sealing any holes, even very small ones, and also removing debris and food sources around your home. Debris provides cover which allows rats to move undetected around your home. Food, such as fruit, seed from bird feeders, and pet food can attract mice and rats to your home. Now that the yard is clean, it’s time to tackle the house. Just how small of a hole can a mouse fit through? Basically, if it can get its head through, it can get its body through. One gentleman on YouTube, Matthias Wandel, was curious just how small of a hole a mouse could actually squeeze through. He created an automated device built of Legos to find out. Each time the mouse leaves, the hole automatically gets a little smaller. As you can see in the video, a mouse can fit into an impossibly small size. Rats are much bigger but can also fit into incredibly small holes. Make sure to plug any holes around your home. The space around pipes and wires can can be filled with steel wool. While rats can chew through iron pipes, they hate the feel of steel wool on their sensitive noses. 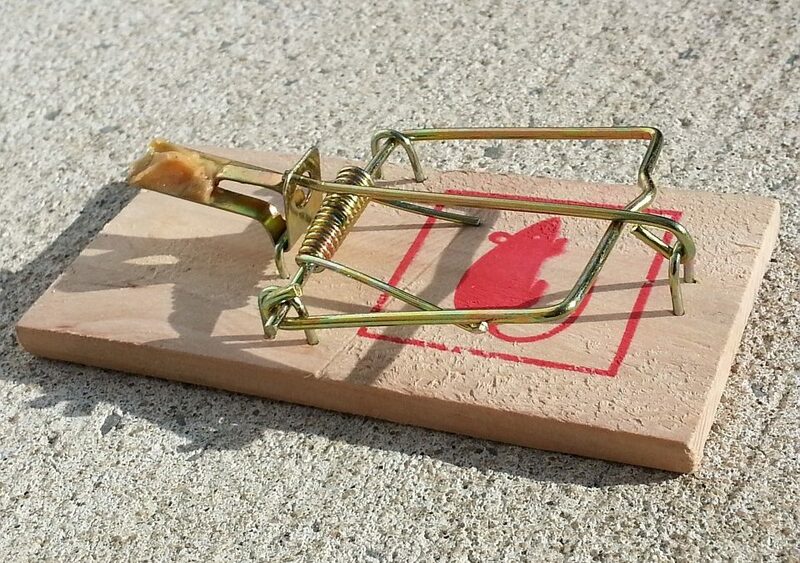 As mentioned above, we want to make it as difficult as possible for mice and rats to get in by sealing the house and placing bait boxes in key positions so mice and rats can find them easily. We offer two services for rodent prevention and extermination: Entrance prevention service and mice and rat baiting service. Combined, they are very effective at keeping these pests out of your home. Our technicians will do a thorough inspection of your home to confirm the type of rodent problem you have and where they are entering your home. Our technicians will also gauge the size of the problem to determine the best method to get rid of the pests (traps or bait stations). They can then seal off entry points with steel wool or spray foam to deter further rodents and pests from entering your home. 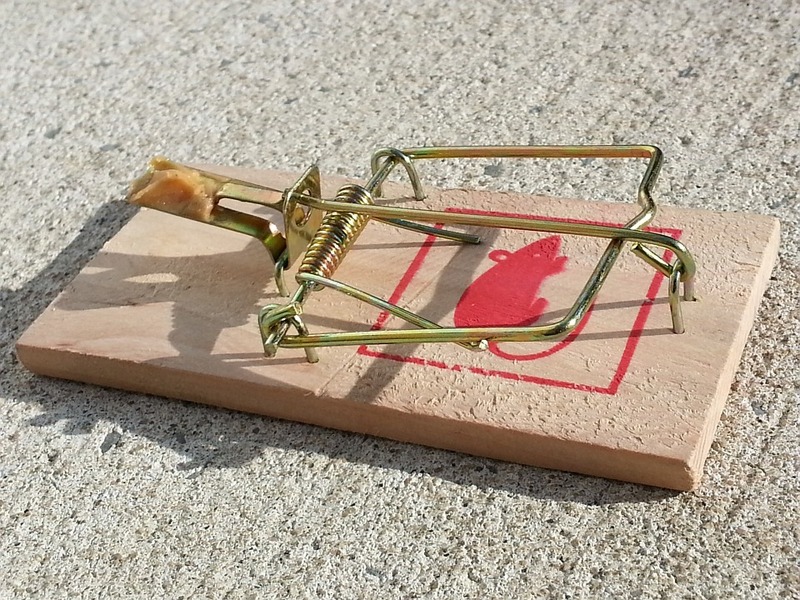 Bait stations and traps will be placed in key positions to make sure that mice and rats find them before ever trying to enter your home.